We will accept as transfer credits no more than one-third of the credits required for the William & Mary law degree and then only those credits where the grade earned is a "C" or better. If the course previously taken is determined not to be substantially equivalent to the corresponding William & Mary course, it is possible that the student may be required to take additional credits in that subject area to satisfy the William & Mary requirement. 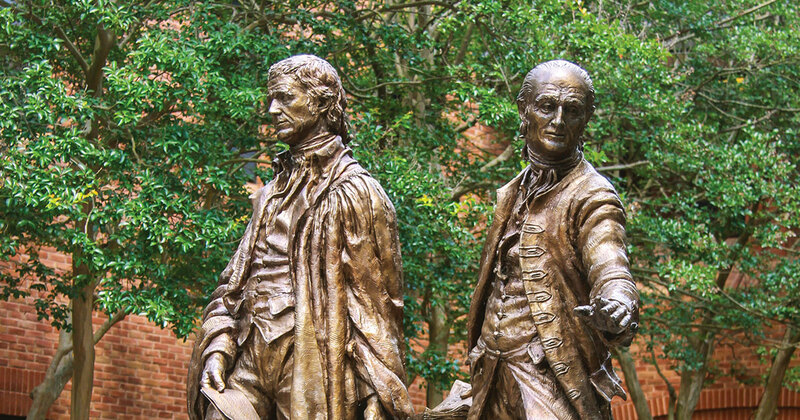 Degree Requirements for transfer students differ from those of the standard three-year JD student only in the number of credits which must be earned in a William & Mary Law School course graded by letter grade. As a transfer student, you must earn at least 44 graded William & Mary Law credits and meet all other degree requirements. Our students are ranked only after one full year of legal education at William & Mary. As a transfer student, you will be ranked at the end of your second William & Mary Law School term. Transfer students may be placed by the Legal Practice Program to a first-year section if your first school did not have an equivalent program. Transfer students must take the second year, spring term Advanced Writing and Practice course. Upon accepting admission to William & Mary, you should immediately contact the Office of Career Services. Our students begin their second-year job search process in early August. While you may have earned a position on a journal or competition team at your former school, that position doesn't transfer to William & Mary upon admission here. Membership in such organizations occurs after inter-school competitions held during our students' first year at the Law School. As a transfer student, you will be invited to participate in these competitions during your first year with us. Transfer students may earn course academic honors, called the CALI Award; are eligible for graduation awards; and are eligible for Latin Honors. To be eligible for Order of the Coif, a student must earn 75 percent of their graduation requirements by graded William & Mary course work. Therefore, transfer students cannot be eligible for this academic award.